Circa 1915. 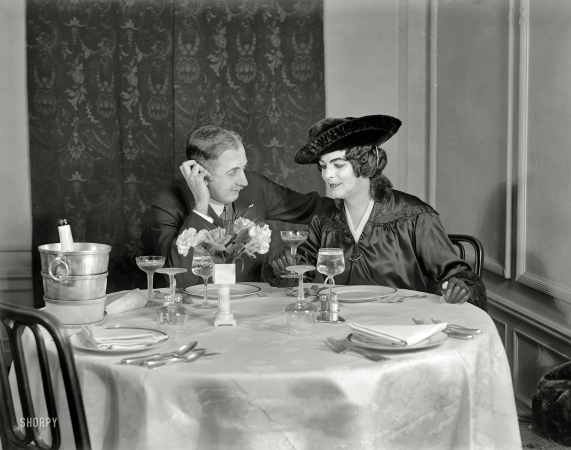 "Couple at champagne supper." The stage actor Julian Eltinge (right) and friend.